We use 21st century technology to handle the complexities of 21st century policing. Experience the evolution of technology-enhanced training today. "What is it like to walk in someone else's shoes? Books allow us to imagine it and movies allow us to see it, but VR is the first medium that actually allows us to experience it." Our 360 VR platform provides users a realistic experience simulating a variety of police-citizen scenarios. We combine advanced motion capture technology with content developed from real police encounters (Domestic Violence, Motor Vehicle Stop, etc. ), using body camera footage and user feedback from law enforcement officials. Our system also offers unique training, assessment, and evaluation tools. Top quality training can be available for all law enforcement professionals. From the largest department to the smallest, most remote counties, the most advanced virtual reality training is available to you. Our system is deployed in-precinct within any 10x10 ft. area. 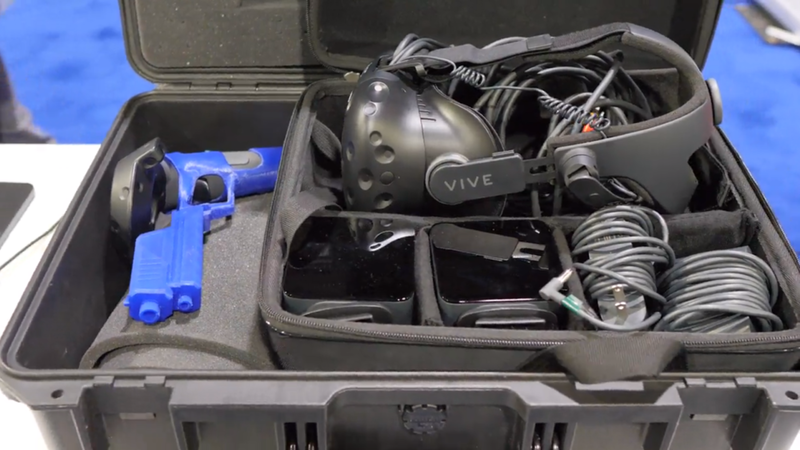 Street Smarts VR allows officers to train at any moment, resulting in increased usage, cost savings, and a police force equipped with enhanced training. The Street Smarts VR package offers departments a premium virtual reality training experience at a fraction of the cost of existing offerings. Street Smarts VR provides unlimited usage for your entire staff at a flat price- there are no per-use fees to worry about. Our mission is to provide a system that encourages as much use as needed to enhance and supplement current training methods. Street Smarts VR uses motion capture technology to shoot authentic human moments to simulate real word scenarios. With the help of subject matter experts, top-tier animators, professional actors, and extensive user feedback from law enforcement officials throughout the United States, Street Smarts VR has created a platform that can be customized to meet the demands of any department. © Street Smarts VR – a virtual reality-based simulation training platform for law enforcement and police officers.